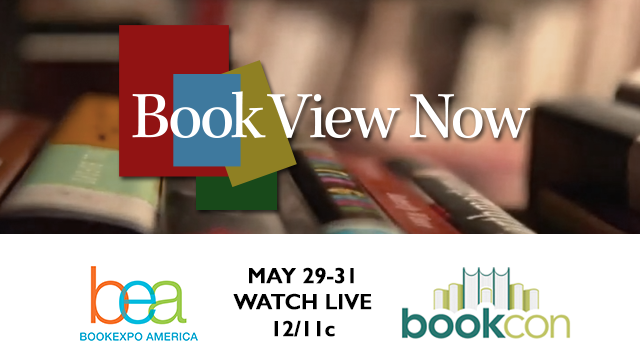 Book View Now brings you two of the most important events in the book publishing business: BookExpo America and BookCon. BookExpo America (BEA) is the leading book and author event for the North American publishing industry. BEA offers three event-packed days, 600-plus authors, hundreds of new titles, and more. BookCon is an immersive experience that features panels, Q&A, autographing sessions, and interactive, forward thinking content marrying the published word with video, podcasts, and more. BEA's coverage highlights include interviews with famous authors including John Grisham,Gregory Maguire, James Patterson, Lee Child, Pulitzer Prize winner Geraldine Brooks,swimmer/author Diana Nyad, actor Nathan Lane, actor Jesse Eisenberg, and many others. Join the conversation at #BEA15.